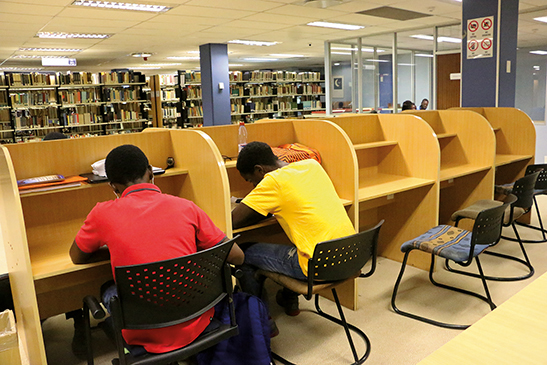 As many as 1333 students have been excluded from Wits University after the 2016 academic year. This is according to an official statement on academic exclusions released by the Student Representative Council (SRC) last week. According to the statement, only 800 students appealed their exclusions. Of these, 650 were successful. As a result, 683 students have been forced out of school. “What happens is, students who are excluded are given an opportunity to appeal their exclusions. It’s not compulsory for you to do that, but it is advisable for you to be re-admitted into your faculty, so the 500 students did not take that option, because one of two reasons, I think one being, that students didn’t want to return back to the same faculty, while some students were not aware of the process involved that you can actually appeal your exclusion and I think that was a lit bit of a poor communique from the university management,” said Zamayirha Peter, SRC academic officer. SRC president Kefentse Mkhari told Wits Vuvuzela that the #FeesMustFall protests had a major contribution to the large number of academically excluded students in 2016. “The protests had a lot of effects on students, including psychological effects. It was therefore foreseen that some students might not do well,”said Mkhari. In terms of the measures taken by the SRC to support excluded students, Peter said, her office had committed to keeping in touch with these students and they have regular meetings with those who have been re-admitted. This is because all students are re-admitted on certain conditions.